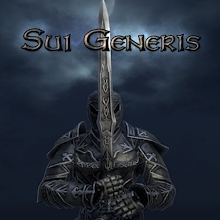 Sui Generis is an original open world RPG for the PC featuring dynamic story and physics based gameplay. 6,931 backers pledged £160,055 to help bring this project to life. Note: Looking to customise your reward? Please check out our new add-ons below (or Update #10)! Note: for those new to Kickstarter, if we don't reach our campaign goal you won't be charged for your pledges! If you are having trouble with the Kickstarter UK payment method you can now support us via Paypal by visiting our website. Please note that this will not help us reach our goal here on Kickstarter. After many requests for a reward tier that includes the soundtrack outside the collector's edition we've decided to include it with every reward from £20 and above! Get your Sui Generis profile picture here! Visit our forums, we have a great community and lots of information! Update #14: Final New Clothing Add-ons! Update #13: There Will Be Blood... And Fire And Shields! Reactive characters. Characters and creatures do not have fixed roles. They will react to anything you say or do, how you dress and what tone you set. We're putting the word Character in NPC. Meaningful Items. Plentiful items, all with plausible qualities and values. Even a rusty sword is effective in the right hands and powerful items will be special and well guarded. Sui Generis is not about running around killing hordes of enemies in order to collect experience points and numerous items. It is about exploring a world and being involved in major events there. What exactly you do and how you do it is entirely up to you. The world is carefully designed to be believable and have a life of its own. It is not there to wait for you to go on quests, trigger events or make decisions. Events will take their course and may take a turn for the worse if you don't get involved. 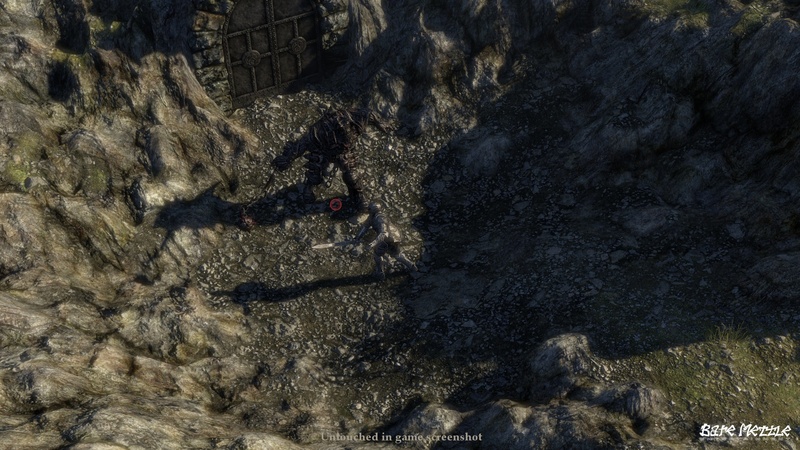 Much of the time combat situations will be occasional yet meaningful. Few opponents can be dismissed as trivial. Though there are powerful items, even an old rusty sword can be effective in the right hands. There are no levels, but there is a more natural progression system based on skills and thaumaturgic powers. There are no classes, but rather countless possible builds with diverse and interesting qualities. As you advance in Sui Generis you won't see creatures or characters in the world becoming more powerful with you. Rather, you will be able to face opponents and explore locations that previously entailed certain death. Death will not be hard to come by and carries consequences, and there is no saving and loading. 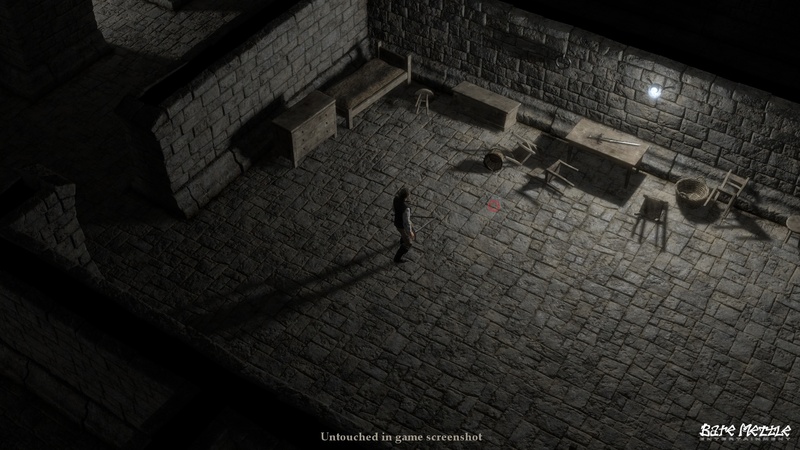 The game will put you in situations where trying to get out alive may be your only concern. We believe this is important to keep the game exciting. What's a game if you can't lose? The denizens of the Sui Generis world will never be suicidal walking scratch cards. Every character and creature shares a core AI system that gives them meaningful and diverse behaviours. They never have fixed roles and every action is circumstantial. Your disposition, possible disguises and other factors are crucial in how they behave. Characters carry only what they are wearing and anything else they might possess will be stored somewhere and physically present in the game at any time. Valuable items will tend to be well hidden or well guarded. These are just some of the things we feel strongly about. 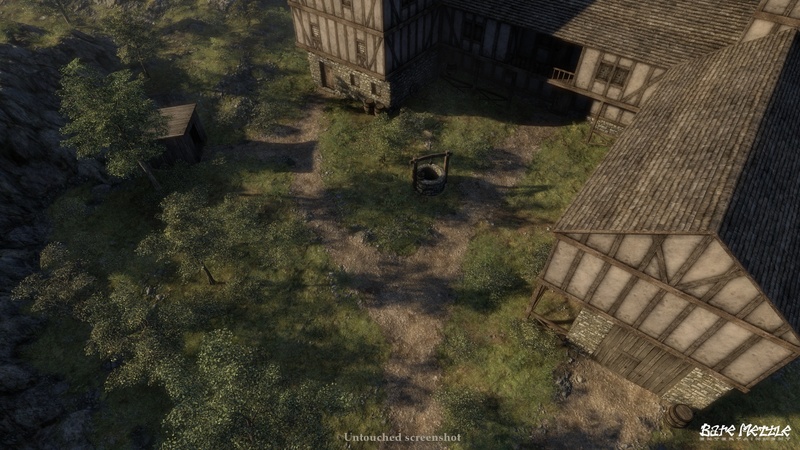 Hopefully it is enough to give you an idea of what kind of game and world we want to make. £10 (approximately $16 USD): 1x Digital Copy (release). £15 (approximately $24 USD): 1x Digital Copy (release), Digital Soundtrack. £20 (approximately $32 USD): 1x Digital Copy (beta and release), Digital Soundtrack, Insider Forum. £40 (approximately $64 USD): 1x Digital Copy (alpha and beta and release), 1x Digital Copy (release), Digital Soundtrack, Insider Forum. £60 (approximately $96 USD): 1x Digital Copy (alpha and beta and release), 1x Digital Copy (release), Digital Soundtrack, Insider Forum, Exclusive Videos. £80 (approximately $128 USD): 1x Collector's Edition Copy (limited edition boxed copy with goodies, alpha and beta and release), 2x Digital Copies (release), Insider Forum, Exclusive Videos. £100 (approximately $160 USD): 1x Collector's Edition Copy (limited edition boxed copy with goodies, alpha and beta and release), 4x Digital Copies (release), Insider Forum, Exclusive Videos. £150 (approximately $240 USD): Character Design, 1x Collector's Edition Copy (limited edition boxed copy with goodies, alpha and beta and release), 4x Digital Copies (release), Insider Forum, Exclusive Videos. £150 (approximately $240 USD): Item Design, 1x Collectors' Edition Copy (limited edition boxed copy with goodies, alpha and beta and release), 4x Digital Copies (release), Insider Forum, Exclusive Videos. £250 (approximately $400 USD): Terrain Design, 1x Collector's Edition Copy (limited edition boxed copy with goodies, alpha and beta and release), 4x Digital Copies (release), Insider Forum, Exclusive Videos. £300 (approximately $480 USD): VOIP Call, 1x Collector's Edition Copy (limited edition boxed copy with goodies, alpha and beta and release), 4x Digital Copies (release), Insider Forum, Exclusive Videos. £2000 (approximately $3200 USD): Team Day, 1x Collector's Edition Copy (limited edition boxed copy with goodies, alpha and beta and release), 4x Digital Copies (release), Insider Forum, Exclusive Videos. Every copy of the game (you do get one with the £10 tier, just in case there was any doubt!) will come with a key that allows you to register an account with us online. Any spare keys you have can easily be given to friends or anyone else as you see fit, which is part of the reason we've included multiple copies in so many of our pledge rewards. Your account will give you access to a private area of our website where you can download the full game, as well as all updates directly from us. We will be using a top notch content delivery network to ensure that you get the fastest download speeds possible. Accounts can be linked to an installed copy of the game, which will include an auto-updater so you can conveniently download all the latest updates and DLC. We intend to continue development after release and will never charge for DLC, so expect lots of additional free content! Don't worry though, this whole system will be optional and the game will still be playable offline, with no DRM as promised. Want to customise your reward a bit? Press the Manage Your Pledge button on this page. If you have not pledged yet it will say Back this Project. Increase your pledge in the Pledge Amount box by the total of the add-ons you want to add. Do not change the tier you are currently pledged at, unless you also want to change it while you are on this screen. If you do change it, you will then need to add the total of your add-ons onto the amount of the tier you have just chosen. After the end of the Kickstarter campaign you will receive a survey that will ask you questions so that you can explain how you would like the add-on money assigned. Note: All add-ons require the base pledge to be at the £10 tier or above. Any pledge that ends up including a physical reward will require you to add £5 for international shipping, unless it has already been included in the base pledge (i.e. £80+). You will only have to pay this once no matter how many physical items are included. In this forum we will interact closely and openly with you to discuss features and development of the game. We will tell you what we're doing and how we're doing it, discuss ideas before they are final and listen to what you have to say. You will be able to download frequent exclusive high quality HD videos showing and explaining new features and content as we develop them. This may include new powers, combat skills, creatures and characters, environments and more. Although a little unclear from our reward description (sorry about that, can't change it now! ), this is a limited edition copy for our supporters only and we do want it to be something special. If there is ever a retail boxed version it will be through a publisher and be a standard copy. So... What will be in the box? The game itself will come on a printed USB memory stick, not an optical disk. The soundtrack CD will come in a jewel case. There will of course be a printed manual too. We're only reluctant to include a map because we may want to expand the game world after release, for free of course, but we're happy to take feedback into consideration on that one. We also promise to include an extra surprise in the box! As we all know, a picture speaks a thousand words! Have a direct one to one conversation with Madoc Evans, get answers to all your questions, tell us what you think and just talk about any aspect of the game or it's development. Spend a full day with us at our (yet to be) offices in the beautiful Siena province. You can bring a friend or your better half. Get a look behind the scenes, interact with the team and if you like try your hand at creating something to be featured in the game using our full blown toolset. End the day by having dinner with us. Delivery times are given as the planned release date of the game, but we will deliver any part of a reward as early as possible. We've allowed ourselves 18 months for development and we're confident that we can deliver a complete product by that date. The reward for not pledging is a day with our friend here. We are a small team of 5 people who have been working in their spare time whenever possible. We are scattered across different cities and even countries. We started work on the game just over a year ago and it's been a difficult journey but we've reached the point where we are able to make it. To complete the game we need to all work full time and together as a team. We didn't know about Kickstarter until recently. We did know, however, that we would need to raise money in order to complete our game. We have always taken a great interest in crowd funding and believe that gamers will be able to appreciate what we are trying to do. Investors are unlikely to share our aims and their involvement could have a negative impact on our game. We also dislike some of the business practices adopted by the games industry in recent years. We want to stick with a simple approach that we consider honest and let the quality of our product determine it's success. We believe that making games should be a craft, not a business. When we discovered Kickstarter we thought it was a perfect fit for our project. We hope that you agree, that you will share some of our excitement and help us see this adventure through to its conclusion. Give us this opportunity and we will prove our mettle. Our target goal here on Kickstarter will allow us to focus our efforts on making the game, to work together and to cover basic expenses. We are however a small team and no matter how dedicated we are, there are limits to what we can accomplish alone. With sufficient additional funds we would be able to recruit people and improve the quality and quantity of content and features. We have not set specific stretch goals. We are not a large studio with specific knowledge of what resources we can allocate to the project. We will do our best to deliver everything we consider important for the game regardless of whether we meet some monetary goal. Our game design supports almost limitless content and we will provide as much we can. Some of the important features that we hope to include are a multiplayer version on at least LAN and support for Mac and Linux platforms. There are also numerous game features and technologies that are not essential but can contribute to making the world more interesting and realistic. As a team we have a unified vision of our game and its design is a collaborative effort. We all play an important role in expressing that vision and populating our world with wonderful things, both conceptually and physically. Our more specialised skills and talents are what allow us to function on any level and meet all of our needs. Though as a team we have professionally developed numerous advanced applications including educational games, we are not a successful game studio with a history of commercial products. Nothing is more important to us than seeing this project completed and we believe we are resourceful people with a comprehensive set of combined skills and talents. Over the last year we have worked hard in a difficult situation to reach the point where we have proven that this game can be made the way we imagined it. We have not only developed all the core technologies and prototyped the game, but have developed a truly vast and impressive set of tools to ease development and the content production process. We have tried our hand at everything that we thought could pose a challenge and achieved what we believe are excellent results. Our target funding goal will allow everyone on the team to work full time and, very importantly, in close proximity, as well as covering some basic expenses. If we do not exceed this initial goal there is a very real possibility that we will not be able to produce the quantity and variety of content that we would like to see in an initial release of the game. If this situation arises we plan to continue expanding and improving the game even after release. We will do whatever it takes to make this the game it's supposed to be. Digital copy of the game on release, at a low price for your early support. Downloadable DRM free directly from us. Previous reward plus digital soundtrack. Previous reward plus early access to beta versions of the game and our insider forum. Previous rewards plus access to alpha versions and an additional copy of the game upon release. Includes everything from the previous reward tier plus exclusive access to frequent downloadable videos of commentated game footage showing new features as they are developed. Collector's edition. Physical boxed copy of the game on release, which will include the soundtrack and manual. Includes all previous reward tiers. Collector's edition+. Physical boxed copy of the game on release, which will include the soundtrack and manual. Includes all previous reward tiers plus an additional two digital copies of the game. Use a dedicated tool to design the appearance, traits and outfits of a character that will appear in the game. You can suggest a name and background but we reserve the right to adjust them. Includes everything from the £100 reward tier. Design the appearance and provide a short description of a weapon that will be appear in game. We will create something based on your guidelines and provide you with inside information on where it may be found! Includes everything from the £100 reward tier. Use a standalone editor to design a 60 by 60 metre section of terrain that will be integrated and featured in the game. 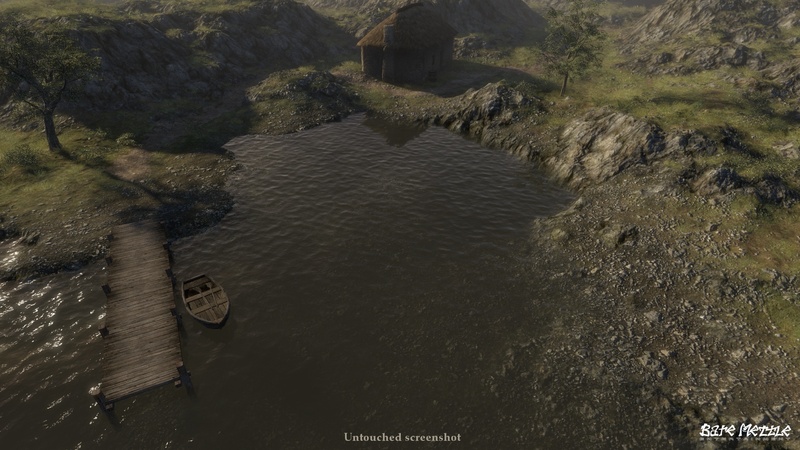 You will also be able to place some structures. Subject to our relaxed guidelines and review. Includes everything from the £100 reward tier. Have a one hour VOIP call with Madoc Evans during which you can discuss any aspect of the game. Includes everything from the £100 reward tier. Spend a day with the 5 core members of the development team doing whatever you want (within reason). 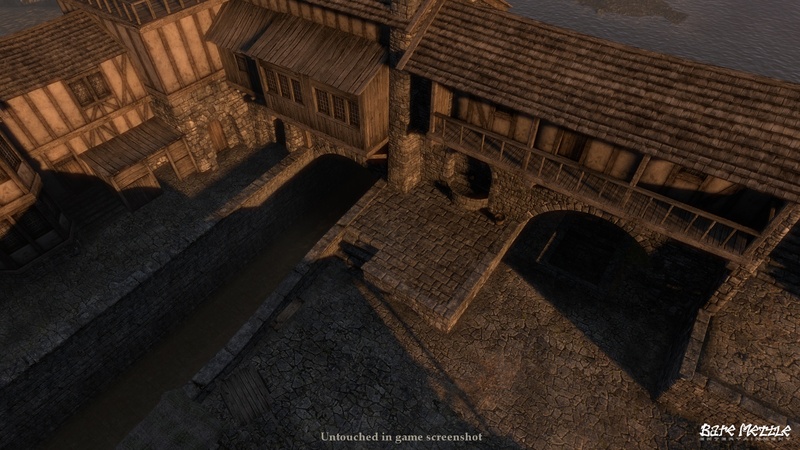 You can even try your hand at designing something for the game using our full blown toolset. You can bring one other person with you. Includes the £100 tier rewards. Must be able to travel to Siena, Italy.